How would you rate your experience with LuxeYard ? 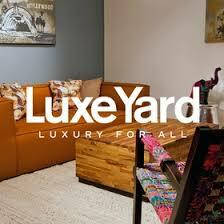 LuxeYard was founded by Amir Mireskandari & Khaled Alattar in Los Angeles, California. This pair of businessmen wanted to cash in on the flash sale industry. With the help of numerous investors, the company was incorporated in 2009 and went public on the NYSE in 2011. What follows next depends on whom you talk to, however, the company appears to have been the target of what is known as a pump and dump scheme, where fake investors pump up the stock and then dump it when prices are higher. The company was forced to file for bankruptcy, however, they recently won a lawsuit against the parties they stated were involved in the scheme. According to the lawsuit, these fraudulent trading activities date back as far as 2012, when certain defendants paid marketing firms millions of dollars to tout LuxeYard’s stock while orchestrating a scheme to sell their shares at the same time. Among those accused of illegally promoting the stock is NBT Equities Research, a company affiliated with Tobin Smith, a former Fox News commentator. In 2014, Mr. Smith agreed to pay more than $250,000 to the Securities and Exchange Commission to settle charges that he and his company fraudulently promoted a penny stock to investors. Today, the company is still operating, but no longer offers flash sales. LuxeYard is now an online marketplace for home furnishings, home decor, and is best known for area rugs. Company headquarters remain in Los Angeles, California. Question 1: What is the phone number for LuxeYard? Answer 1: The phone number for LuxeYard is (323) 207-5893. Question 2: Who is the CEO of LuxeYard? Answer 2: The CEO of LuxeYard is Amir Mireskandari. Question 3: Who founded LuxeYard? Answer 3: LuxeYard was founded by Amir Mireskandari & Khaled Alattar in 2009. 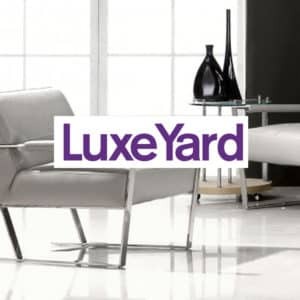 Want to make sure LuxeYard sees your comment or complaint?